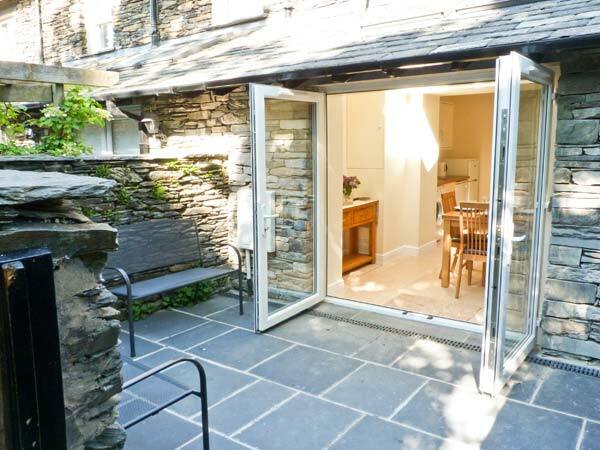 Rothay Cottage is a terraced cottage in a quiet lane close to the centre of Ambleside in the Lake District National Park. The cottage sleeps four people and has one double bedroom, one twin and a family bathroom. There is also a fitted kitchen and a second floor sitting room with superb views. Outside is a patio area with outdoor furniture. Just a short stroll from the town centre, Rothay Cottage is a wonderful base for discovering the superb Lake District region. Over three floors. Two bedrooms: 1 x king-size double, 1 x second floor twin. Bathroom with bath, separate shower and basin. Separate WC. Kitchen with dining area. Second floor sitting room. Gas central heating. Electric oven and hob, microwave, fridge/freezer, washing machine, dishwasher, TV with Freeview, DVD. Fuel and power inc. in rent. Bed linen and towels inc. in rent. Roadside parking in side street near cottage with local residents permit for 1 car. Patio with furniture. Sorry, no pets and no smoking. Shops and pubs 2 mins walk. Lake Windermere 10 mins walk. 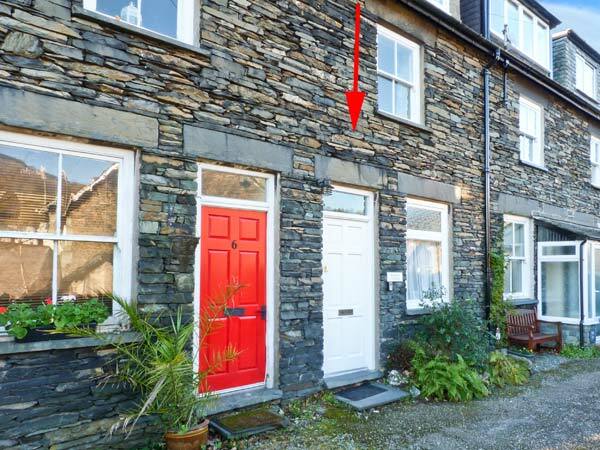 Note: Due to steep stairs, this cottage is not suitable for children under 4 and for guests with limited mobility. Note: Access to the cottage is restricted to unloading only, with a local parking permit available for 1 car on Millans Park. We also have details of 86 other similar properties nearby which might suit you.